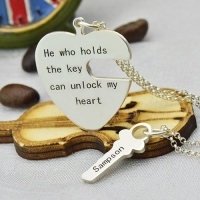 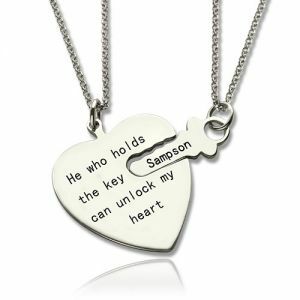 Gifts For Couple - Key and Heart Necklaces Set For Couple - Love each other? 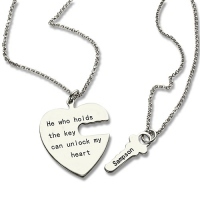 Then get a matching couple necklace! 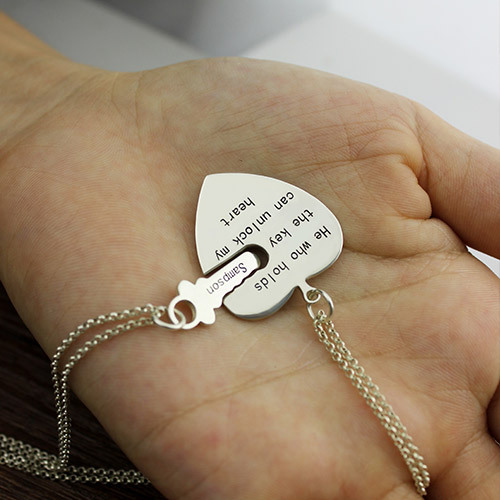 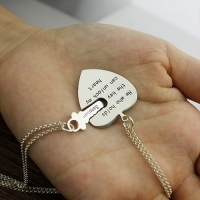 Show the world how much you love each other with this unique couple necklace! 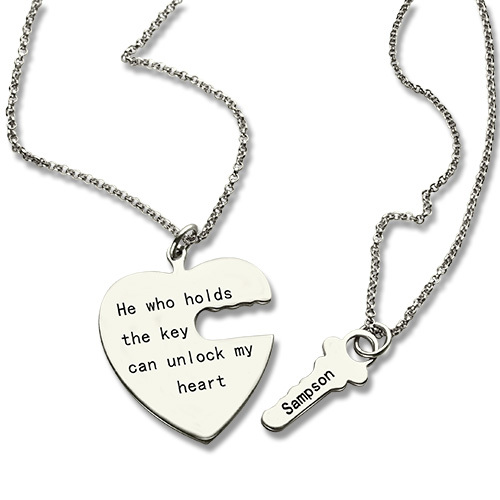 This unique necklace features a key and a lock that can interlock with each other to make a heart and one necklace,means expressing their love for each other and are open to letting other people around them know about their feelings. So whether its birthday or anniversary, this will be the perfect gift idea for your upcoming special occasion.